Aktuell: ​The China Professional Hair Care Market is estimated to hit $1.345 billion by 2023. ​The China Professional Hair Care Market is estimated to hit $1.345 billion by 2023. According to the new market research report by IndustryARC titled “China Professional Hair Care Market: By Categories (Coloring, Perming & Straightening, Shampoo & Conditioning & Styling); Sales Channel (Back Bar and Take Home) & By Company – Forecast(2018-2023)”, the market is driven by the growing demand for hair care products. Perming products account for 73% of the overall hair straightening and perming market in China. Perming has been traditionally a big segment in the Chinese professional hair care market. Blowing, complaisant, satin, black and shiny straight hair or added texture, waves, curly hair are always the leading fashion trends in China. The trend is towards using gentler and more natural products on the hair, rather than subjecting it to harsh chemicals. Many local perming and straightening products compose of plant extracts. Availability of hair appliances that are less damaging to the hair, such as ceramic irons, in both flat and curl varieties, coupled with styling products that help protect the hair from thermal damage, are also forces that have increased the sales of perms and straighteners. There has been an influence of K-Pop culture, Japanese, Taiwanese, Hongkong and Chinese celebrities on Chinese females. Younger females are increasingly opting for hot perms. Thermal conditioning constitutes about 60% of the market whereas cold perm covers 40% of it. Japanese and Korean style curls are creating a surge for perming services. China is witnessing an increasing demand for coloring, owing to an aging demographic that needs grey hair coverage. There is huge growth for this service in men’s category, especially in the age group 35-45. This factor propels the demand and growth for the China professional hair care market. Demand for professional hair services is set to be boosted by consumer interest in enhancing visual appearance. The growing demand, coupled with growing disposal incomes is escalating the market growth. Loreal Group is the major key player in the China Professional Hair Care Market. L’Oreal Group with its brands like Matrix, L’Oreal Professionnel, Kerastase, tops the professional hair care market in China with 10.1% share. L’oreal Professional has launched Mythic Oil Masque which was designed to replenish dry and damaged hair. Tags hair care, hair color products, hair products, hair styling product, hair treatment, professional hair, professional hair products, shampoo | Permalink | Kommentare deaktiviert für ​The China Professional Hair Care Market is estimated to hit $1.345 billion by 2023. Tags hair care, hair color products, hair products, hair styling product, hair treatment, professional hair, professional hair products, shampoo | Permalink | Kommentare deaktiviert für Chile Professional Hair Care Market is growing at a CAGR of 4 % during the forecast 2018-2023. Mit einer breit aufgestellten Produktlinie vervollständigt die Pro DP Verpackungen ihr Sortiment im Gastronomie-, Hotellerie- und Hygienebedarf. Die Pro DP Verpackungen ist ein Großhandels- und Dienstleistungsunternehmen für den breiten Bedarf an Serviceverpackungen und Einweglösungen in Gastronomie, Hotel, Imbiss und Lebensmittelbranche. Neben einem umfangreichen Sortiment an praktischen EInwegverpackungen, modernen To Go Verpackungen, günstigem Einweggeschirr und innovativen Ideen rund um den gedeckten Tisch, hat der Spezialist aus Thüringen auch eine vielseitig aufgestellte Hygiene- und Reinigungs Produktlinie geschaffen. Gerade in der Produktion, Verarbeitung und dem Verkauf von Lebensmitteln bestehen hohe gesetzliche Anforderungen an die Reinlichkeit und Keimfreiheit, aber auch die Mitarbeiter und Kundenhygiene stellt in Unternehmen einen nicht zu vernachlässigenden Bereich dar. Dabei ist die Sauberkeit und Hygiene nicht nur ein gesetzlich vorgegebenes Ziel, vielmehr sind Waschräume und Toiletten oftmals auch ein unterbewusst wahrgenommenes Aushängeschild in Restaurants, Hotels und öffentlichen Einrichtungen. Speziell in Hotel und dem Gastgewerbe nimmt die Wahrnehmung der professionell gereinigten Räumlichkeiten natürlich noch einmal einen deutlich höheren Stellenwert ein. Um seinen Kunden eine Vielzahl an Lösungen direkt und komfortabel aus einer Hand bieten zu können, wurde ein durchdachtes Reinigungs- und Hygienesortiment geschaffen, welches natürlich über zahlreiche professionelle Lösungen verfügen musste. In Zusammenarbeit mit einem leistungsfähigen regionalen Produktionspartner der chemischen Industrie wurde somit eine Produktlinie geschaffen, welche den Bereich der Seifen und Körperpflegeprodukte ebenso abdeckt, wie professionelle Spülmittel für verschiedene Einsatzarten, oder auch leistungsstarke Reiniger für Boden, Fliesen, Kühlräume, Glasflächen oder Sanitärbereiche. Auf Grund kurzer logistischer Wege und durchdachten Dispositionen konnte zudem ein Konditionenmodell geschaffen werden welches beweist, dass Qualität nicht immer auch teuer sein muss. Davon ist das Team rund um den Unternehmenschef Dennis Bauer so überzeugt, dass man der Reinigungslinie sogar seinen Namen gegeben hat. Die qualitativen Lösungen für den professionellen gewerblichen Einsatz findet man am Markt unter der Marke Pro DP Reinigungsmittel. Shampoo constitutes an important part of personal care. The global shampoo market continues to gain traction attributed to rising prevalence of hair-related disorders, such as hair fall, dandruff, oily hair, graying, dryness and itchiness, and others. In Persistence Market Research’s global shampoo market report, all the minor and critical factors associated with the market are examined in depth in order to forecast the future condition during the next eight years. The market has overall positive growth prospects during 2016-2026. With growing environmental pollution and changing urban lifestyle, prevalence of dermatological problems, especially related to hair, is constantly on the rise. Urbanization and changing consumer lifestyle, supported by growing awareness about personal care and hygiene, and wide availability of shampoos and other hair-related products, will collectively fuel the market for shampoo within the next few years. Introduction of innovative products, coupled with effective advertising by respective brands will hold a positive influence on the market growth. Consumers today are highly concerned about physical appearance and hygiene. Moreover, the men’s grooming sector is equally evolving as women’s grooming industry. These two will remain the key factors driving the growth of the global shampoo market. Growing consumer spending on personal care products is another factor boosting the market. Rising awareness about using different shampoos for different hair type and hair-related issues will play a critical role in shaping the consumption pattern in the global shampoo market. Increasing availability of specialized products will also play a vital role in escalating the overall revenue sales of the shampoo market globally, especially in developed regions. In addition to established brands, the entry of numerous emerging brands in the shampoo and conditioner market in the recent past has indicated elevated sales of shampoo, conditioner, and similar products. This will continue to support the market growth on a global level. Moreover, popular fashion trends, such as hair coloring and styling are likely to fuel the market for customized shampoos in the near future. Moreover, consumers are increasingly inclined toward using naturally-sourced, chemical-free personal care products, which prompts at strong growth possibilities for natural or organic shampoo market. In addition to evolving consumer behavior, increasing shampoo brands endorsements by celebrities across the globe will hold a major impact on the market growth. These two will remain among the top trends influencing the shampoo market growth. Different shampoos for men and women are currently trending in market. Growing urbanization and rising spending power of affluent consumers, are likely to collectively support the sales of new, innovative, specifically targeted shampoos and similar products. Shampoos based on fruits, beer, and other materials beneficial for hair care will continue to attract a sizeable consumer cluster over the next few years. Abundant opportunities lie in natural/organic/herbal shampoo sector. Shampoo consumption is expected to gather momentum within developing countries during the assessment period. Leading international and regional brands are anticipated to capitalize on the growth opportunities in emerging markets. In addition to cosmetic shampoo, the market for medicated shampoo is evidently thriving since the past few years. This again highlights ample of opportunities that need to be addressed by manufacturers during the aforementioned forecast period. Online selling is a rapidly growing trend and also presents a wide range of opportunities. Supermarkets, hypermarkets, convenience stores, and departmental stores will be preferred by consumers, in terms of distribution channel. The demand for herbal or naturally-sourced shampoo in developing Asian and Middle East countries is expected to swell during the forecast period. Some of the key players in the global shampoo market, include Procter & Gamble, L’Oreal, Unilever, Head & Shoulders, Pantene, CLEAR, VS, Dove, Rejoice, Schwarzkopf, LUX, AQUAIR, Syoss, SLEK, Lovefun, Hazeline, and CLATROL. Manufacturers are focusing on constant innovation in products, in addition to developing different products for different hair types and hair or scalp-related problems. September 2016 – Mit Aktivwirkstoffen natürlichen Ursprungs Haarverlust von außen und innen vorbeugen – das lässt sich mit dem neuen Anti-Haarausfall-Shampoo (200 ml, 15,95 Euro) und den neuen Nahrungsergänzungskapseln (60 Stück, 29,90 Euro) des Svenson Fachinstituts für Haargesundheit (16 Haarzentren in Deutschland). Das Anti-Haarausfall-Shampoo mit Serenoa Serulata und Morus Alba zögert Haarausfall hinaus. Es verbessert die Haargesundheit, kräftigt das Haar und verleiht ihm mehr Fülle. Dank seiner hochwertigen Aktivwirkstoffe natürlichen Ursprungs, Vitaminen und Mineralien regeneriert sich der gesunde Haarwachstumszyklus. ● Der Inhaltsstoff Serenoa Serrulata (Sägepalme) verlängert die Lebensdauer des Haares und hemmt das 5-alpha-Reduktase-Enzym – das Hormon, das den Haarzyklus beschleunigt und verkürzt und androgenetische Alopezie auslöst. ● Morus Alba (Weiße Maulbeere) ist ein weiterer Aktivwirkstoff natürlichen Ursprungs. Er regeneriert den Wachstumszyklus des Haares, kräftigt das Haar und verbessert das Haarvolumen. Er regt die Durchblutung an (durch Erweiterung der Gefäße), fördert die Kollagenproduktion und bremst die vorzeitige Alterung der Haarwurzel. ● Gingko Biloba verbessert die Durchblutung der Haarfollikel, revitalisiert das Haar und führt zum Wachstum von neuem Haar. ● Der Haarwachstumsstimulator Adenosin und der Feuchtigkeitslieferant Panthenol helfen mit, die Haarzwiebeln zu reparieren und zu revitalisieren. Zudem wirken sie talgregulierend und verleihen dem Haar Elastizität. Das Anti-Haarausfall-Shampoo ist für alle Haartypen geeignet und kann täglich verwendet werden. Es riecht angenehm frisch nach Zitrone, enthält keine Silikone und keine Parabene. Es zeichnet sich außerdem durch eine geringe Schaumbildung aus. Diese ist zurückzuführen auf den minimalen Anteil an Tensiden (Reinigungsmitteln), was sich wiederum sehr positiv auf die Haargesundheit auswirkt. Shampoos mit einem hohen Anteil an Tensiden greifen das Haar dagegen an. Durch eine unausgewogene Ernährung kann jede Art von Haarverlust beschleunigt oder verstärkt werden. Svenson hat die neuen Anti-Haarausfall-Kapseln entwickelt, um eine optimale Nährstoffversorgung der Haarfollikel zu ermöglichen. Ihr Konzentrat an Aktivwirkstoffen natürlichen Ursprungs (Inositol, Zink und Vitamine der B-Gruppe) versorgt die Haarzwiebeln mit den notwendigen Nährstoffen und lässt das Haar dichter, kräftiger und vitaler werden. Die Wirksamkeit wird nach etwa drei Monaten sichtbar, da die Zellen der Haarfollikel diese Zeit für ihre Regeneration benötigen. Bereits seit einigen Monaten ist der Anti-Haarausfall-Spray (20ml, 69 Euro) von Svenson erhältlich. Dieser revolutionäre Spray, der sich die Nanotechnologie zu Nutze macht, kann optimal zur Vorbeugung von Haarausfall sowie bei ersten Anzeichen von Haarverlust angewandt werden. Er kräftigt die Haarwurzeln und fördert das Haarwachstum. Verkapselt in winzige Liposomen-Bläschen (derselben Struktur wie eine Zellmembran), werden wertvolle Wirkstoffe bis in die tiefsten Hautschichten transportiert. Die Wirkstoff-Freisetzung erfolgt kontrolliert direkt an der Quelle des Problems, was eine höhere Wirksamkeit zur Folge hat. Enthalten sind unter anderem die pflanzlichen Aktivwirkstoffe Serenoa Serrulata (Sägepalme) mit 5-alpha-Reduktase-Hemmern und Morus Alba (Weiße Maulbeere). Maßgeschneiderte Lösungen für gesünderes, volleres Haar: Ständige Forschung innerhalb des Svenson Haarinstituts ermöglicht es den Haarexperten, innovative Therapien und Lösungen zur Behandlung sowie zur Vorbeugung von Haarausfall anzubieten: Haartherapien (etwa PRP- und Mesotherapie), professionelle Haarpflege-produkte, Nahrungsergänzung, Haartransplantationen, Haarergänzung, Haarverdichtung sowie Perücken. „Frauen und Männer verlieren aus unterschiedlichen Gründen Haare“, wissen die Svenson Haarexperten. „Deshalb bieten wir für jeden Fall ein maßgeschneidertes Behandlungskonzept an.“ Basis für die jeweilige Empfehlung ist eine persönliche, individuelle Beratung mit Haaranalyse. Das Expertenteam analysiert die Haarsituation umfassend und kostenfrei. Laupheimer Zweithaar-Spezialist Bergmann launcht neue Pflegeserie, abgestimmt auf die unterschiedlichen Haarqualitäten, die bei den Haartechniken und Perücken von Bergmann zum Einsatz kommen. Neben optimierten Rezepturen präsentieren sich die Produkte auch in einem modernen Design, das die Zuordnung zur jeweiligen Haarqualität auf den ersten Blick erkennbar macht. Die Tragezeit von Zweithaar ist nicht nur abhängig von den Tragegewohnheiten, sondern auch von der richtigen Pflege. Mit seiner optimierten Pflegelinie bietet der Laupheimer Zweithaar-Spezialist Bergmann ab sofort Produkte, die hinsichtlich ihrer Inhaltsstoffe abgestimmt sind auf die unterschiedlichen Haarstrukturen, die bei Bergmann zum Einsatz kommen. So gibt es zum Beispiel eine verbesserte Rezeptur der Pflegeserie, die speziell für Haartechniken aus Betex, der hauseigenen und exklusiv von Bergmann verwendeten Kunstfaser, empfohlen wird. Die anderen Produkte sind für den Einsatz bei Kunsthaar, KS-Faser oder Echthaar gedacht, abgerundet wird das Angebot mit der Linie „Care & Style“, zu der entsprechende Styling- und besondere Pflegeprodukte wie zum Beispiel Haarspitzen-Fluid oder Hautschutz-Lotion gehören. Je nach Haarstruktur kann der Zweithaar-Spezialist aus Shampoo und Balsam, Haarmasken, Spray, Balsam, Protect & Care, Antistatic-Lotion oder Haarmasken wählen. Die exklusiv für Bergmann entwickelte Pflegeserie überrascht bei dem ebenfalls optimierten KS-Aroma-Shampoo sowie allen anderen Produkten mit einem angenehmen, dezenten und frischen Duft. Darüber hinaus setzt das Unternehmen auf ein neues, modernes Design, das mittels einer farblich eindeutigen Kennzeichnung eine Zuordnung zur jeweiligen Haarqualität auf den ersten Blick möglich macht. Alle Produkte sind ab sofort erhältlich. München, 15. Dezember 2014: Reiferes Haar stellt besondere Ansprüche: Es benötigt mehr Proteine und Nährstoffe. Dafür hat Deutschlands Promifriseur Udo Walz die Pflegeserie „Age Reverse AR+“ entwickelt. Der Star-Coiffeur kommt mit seiner neuen Marke „Udo Walz Meisterwerk“ nach fünf Jahren zurück zu HSE24. Die Anti-Aging Haarpflege überzeugt durch die hochwertige AR+-Formel, bestehend aus Ginseng- und Kaviarextrakten. Die ebenfalls enthaltenen Omega-3-Fettsäuren, Vitamin C und Antioxidantien lassen das Haar dichter und kraftvoller wirken. Damit kann der frühzeitigen Haaralterung vorgebeugt werden. zu einer einzigartigen Festigkeit und Spannkraft. Inhaltsstoffe auf, veredelt das Haarbad und sorgt für ein dichteres Haargefühl. brüchigem Haar wieder zu Geschmeidigkeit. Haar dadurch eine natürliche Glanzkraft. Neben „Age Reverse AR+“ für Haar ab 39 gibt es zwei weitere Linien von „Udo Walz Meisterwerk“: „Boost“ für feines Haar und „AgaVe Repair“ für trockenes und strapaziertes Haar. Druckfähiges Bildmaterial finden Sie im Dropbox-Ordner zum Download . 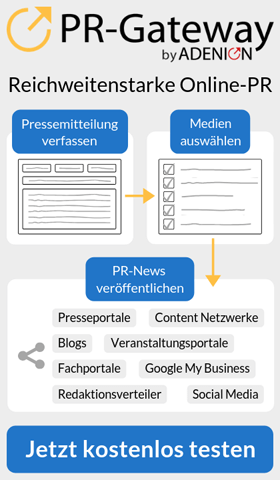 Weiteres, druckfähiges Bildmaterial ist online im HSE24 Presseportal erhältlich. Sämtliche Fotos stehen im Zusammenhang mit HSE24 kostenfrei zur Verfügung. Diese und viele weitere, ständig neue Produkte gibt es exklusiv bei HSE24 im TV und online bei HSE24.de . Unerlässlich für eine gesunde Kopfhaut ist die richtige Pflege, damit sie gesund bleibt und das Wachstum der Haarfollikel nicht durch Kalk- und Hautablagerungen behindert wird. Haare können nur nachwachsen, wenn die vorhandenen Haarfollikel gesund und wachstumsfähig bleiben und nicht vorzeitig ihre Aktivität ruhen lassen oder absterben. Aus einem abgestorbenen Haarfollikel kann kein Haar mehr wachsen. Durch die richtige Pflege (z.B. mit „TCplus“ Haartonikum+Shampoo, in Apotheken) ist es möglich, das vorhandene Haar in seinem gesunden Wachstum zu fördern. Am Rande des vorhandenen Haares finden sich stets wachstumsfähige Haarfollikel, die durch richtige Pflege des Haarbodens, durch Zufuhr geeigneter Nähr- und Wachstumsstoffe, zu normalem Haarwuchs angeregt werden können. Damit bleibt das normale Haar voll erhalten und der Haarausfall wird weitestgehend verhindert. Bei vielen Männern setzt mit Ende der Pubertät eine Entwicklung ein, an deren Ende der teilweise, oder der völlige Verlust des Kopfhaares steht. 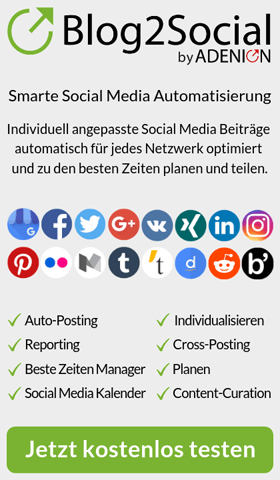 Diese Entwicklung ist individuell sehr unterschiedlich. Der männliche Haarausfall ist in der Erbmasse festgelegt und kann nicht verhindert werden. Durch die regelmäßige und richtige Haar- und Kopfhautpflege ist es jedoch möglich, einem vorzeitigen, androgenetisch bedingten Haarausfall entgegenzuwirken. Auch aus anderen Gründen kann das Haarwachstum stark beeinträchtigt sein. So treten Haarschäden z.B. durch mechanische Beanspruchung (Haarwickler, Nylonbürsten, starke alkalische Seifen, intensive Ultraviolettstrahlung), aber auch durch Krankheiten, oder bestimmte Arzneimittel auf. Die bewährte Pflanzenkombination im Haartonikum (bzw. Shampoo) „TCplus“ macht sich die Natur zur Hilfe, um ein gesundes Wachstum der Haare zu erzielen. Es enthält Pflanzenextrakte, die sogenannte Phytohormone (Olivenkernextrakt) enthalten, welche mit den weiblichen Hormonen verwandt sind. Der menschliche Organismus produziert daraus körpereigene Hormone, die am Wachstum des Kopfhaares beteiligt sind. Außerdem enthält das Haartonikum Thymianöl – es regt die Durchblutung der Kopfhaut an und entfaltet so eine angenehm tonisierende Wirkung. Durch seine antibakteriellen Eigenschaften befreit es den Haarboden von Fett- und Hautablagerungen. Coffein schützt die Haarwurzel und kräftigt den Haarboden. Das Haar gewinnt durch den „Coffein-Energieschub“ an Fülle. Übermäßige Hauttalgproduktion sowie Hautirritationen werden durch Vitamin E vermindert; die Hautalterung wird durch diesen „freien Radikalfänger“ verlangsamt. Die Elastizität der Kopfhaut wird durch Panthenol verbessert sowie das Feuchthaltevermögen erhöht – es unterstützt die Neubildung der Hautzellen und trägt so zur Regeneration bei. Darüber hinaus hat es juckreizlindernde und entzündungshemmende Eigenschaften. Die lebenden Haarfollikel werden von Fett- und Hautablagerungen befreit; das macht den Weg frei für gesundes Haarwachstum. Schuppen und Kopfjucken verschwinden und das Haar gewinnt an natürlichem Glanz und Fülle! Alle Shampoos der Serie Puromarin sind ohne Silikon. Das Care & Repair Shampoo und das Pflege Shampoo sind Emulsionsshampoos. Eine Emulsion ist wie bei der Mayonnaise eine Fettkomponente und eine Wasserkomponente, die sich nicht mischen, aber auch nicht trennen. Im Dr. Schuberts Puromarin Emulsionsshampoo werden Makadamianusöl und Brokkoliöl für die Ölphase verwendet. Makadamianusöl pflegt das Haar und kittet es. Dadurch entsteht ein reparierender Effekt. Kaputtes Haar lässt sich aber nicht nachhaltig reparieren. Die Wirkung dauert immer nur bis zur nächsten Haarwäsche. Brokkoliöl verbessert die Kämmbarkeit des nassen Haares. Zusammen mit milden Tensiden ist ein Shampoo entstanden, dass empfindliche Haut nicht reizt und die Haare glänzen lässt. Das Care & Repair Shampoo wird ohne Duftstoffe hergestellt und natürlich auch ohne Silikon. Silikone sind heute übliche Beimengungen bei Shampoos, weil sie dem Haar ein gutes Aussehen verleihen. Natürliches gesundes Haar braucht keine Hilfsstoffe wie Silikon. Manche Leute reagieren auch empfindlich auf Silikon. Deshalb sind in Dr. Schuberts Puromarin Care & Repair Shampoo nur milde Tenside und hautfreundliche natürliche Öle emulgiert worden. Speziell für Personen, die ein mildes Haarwaschmittel brauchen, weil ihre Kopfhaut auf die üblich verwendeten Zusatzstoffe empfindlich reagiert. Das Pflege Shampoo ist auch eine Emulsion ohne Silikon. Hier wird das etherische Öl der wilden Minze zugesetzt, damit das Haar einen frischen Geruch erhält. Ansonsten ist das Pflege Shampoo ebenso für Personen geeignet, die eine empfindliche Kopfhaut besitzen. Beide Shampoos sind für normales und trockenes Haar geeignet. Erhältlich sind die Shampoos in deutschen und östereichischen Apotheken und im Online Shop LaCoperta . Die MicroCos GmbH wurde 1984 vom Geschäftsführer Eduard Glaubacker gegründet und ist Bereich Diagnostika und Kosmetikprodukte tätig. Der Sitz der Gesellschaft ist Garching b. München. Die Bereiche Kosmetik (www.puromarin.de) und Nahrungsergänzungsmittel (www.dr-schuberts.de) werden mit eigenen Produkten verstärkt und ausgebaut. Silikone sind aus der modernen Haarpflege nicht mehr wegzudenken. Dennoch nimmt der Kreis derer, die auf Silikone verzichten möchten, stetig zu. Dr. Schuberts Puromarin Shampoos und Conditioner werden deshalb ohne Silikone hergestellt. Heute enthalten vielen Shampoos und Haarpflegeprodukten Silikone. Silikone werden benutzt, um die Haare zu konditionieren, um widerspenstigen und beanspruchten Locken Glanz zu verleihen, damit sie sich wieder seidig und geschmeidig anfühlen. Silikone haben in der Haarpflege also durchaus ihre Berechtigung. Der Nachteil ist, dass sich die Silikone um das Haar legen und nur schwer wieder ausgewaschen werden können. Durch die Verwendung von silikonhaltigem Shampoo wird das Silikon immer mehr angelagert, die Strähnen werden letztlich schwerer und hängen schlaff herunter. Ein anderer Nachteil ist, das Silikone nur schwer entfernbar sind und sich das Silikon wie ein Schutzfilm um den Schaft legt. Dadurch können Feuchtigkeit und andere Pflegestoffe nicht mehr in das Haar eindringen. Die Folge ist, es wird irgendwann trocken und porös. Das Dr. Schuberts Puromarin Anti-Schuppen Shampoo entfernt Silikone. Bei regelmäßiger Anwendung wird der Silikonanteil in den Haaren abgebaut und das Haar erhält wieder seine ursprüngliche Form. Die Anti-Schuppen Wirkung wird mit Bio-Schwefel erreicht. Kosmetisch wird Schwefel zur lokalen Behandlung von Haut- und Haarstörungen, die auf einer Talgdrüsenüberfunktion beruhen, empfohlen. Reiner Schwefel ist in Shampoos unlöslich und würde zu Niederschlägen führen. Bio-Schwefel wurde mit einem hautfreundlichen Lösungsvermittler umgesetzt, damit er in wässerigen Lösungen löslich ist. Bio-Schwefel ist zur Anwendung bei Haut mit übermäßiger Talgsekretion bestimmt, also bei fettiger und unreiner Haut. Deshalb eignet sich Dr. Schuberts Puromarin Anti-Schuppen Shampoo auch bei Kopfhaut mit starker Talgsekretion, also bei Fetthaare und Schuppen. Dr. Schuberts Puromarin Anti-Schuppen Shampoo enthält keine pflegenden Inhaltsstoffe. Bei längerem Haar macht sich das dadurch bemerkbar, dass die nassen Haare nur schwer zu kämmen sind. Um dieses Manko aufzuheben wurde Dr. Schuberts Puromarin Anti-Schuppen Conditioner entwickelt. Auch er ist frei von Silikonen. Er enthält ein Öl aus den peruanischen Anden, Inca Inchi Öl oder auch Omega-Öl genannt. Dieses Öl hat für die Haarpflege einen unschätzbaren Vorteil, es dringt in den Schaft ein und lagert sich nicht außen an. Dadurch bleibt es locker und es fällt glänzend und seidig. Der Anteil an Bio-Schwefel im Dr. Schuberts Puromarin Anti-Schuppen Conditioner unterstützt die Anti-Schuppen Wirkung des Shampoos. Erhältlich in Apotheken und dem Online-Shop LaCoperta .